This stunning picture of history-maker Ian Hutchinson shows him powering the Padgetts Honda Superbike through the Glentramman section of the Isle of Man TT course. 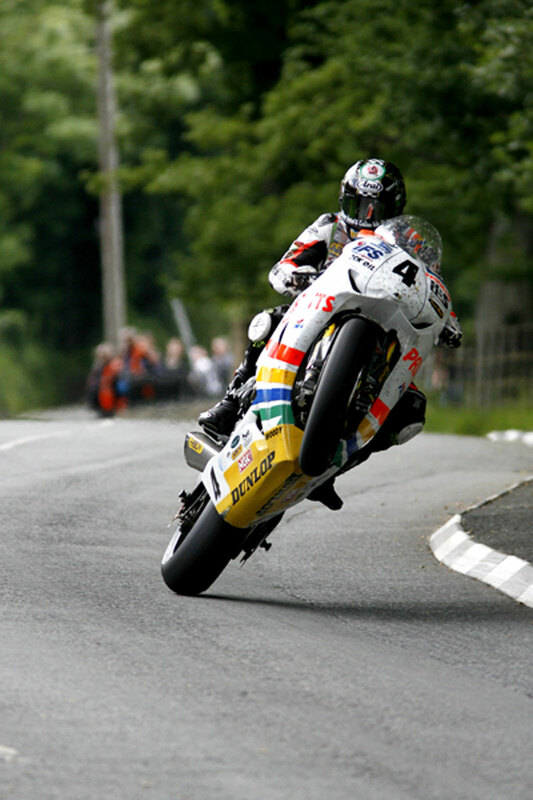 Hutchy claimed an incredible five wins at the 2010 TT, the only solo competitor to win a race at the event and the first man in TT history to claim that many victories in one week. It is a rare view of the TT course, perhaps unfamiliar to many, but it captures the speed, drama and extreme skill needed to become a road racing legend around the 37.73-mile course. The photo, by Dave Purves, so marvellously captured the essence of the 2010 TT and what Hutchinson had achieved it was selected for the front cover of the Official DVD and Blu-ray reviews.